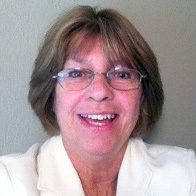 Meridian Swift, CVA, has over 20 years of experience in volunteer management. She blogs on Volunteerplaintalk.com, and is the author of The Volunteer Shelf Life. She has contributed articles to Energize Inc., VolunteerMatch’s Engaging Volunteers, and other publications. Swift has presented at the state and national levels on volunteer management issues, and she works with volunteer organizations to address volunteer engagement challenges. She has created numerous award-winning volunteer programs and has trained generations of volunteers.